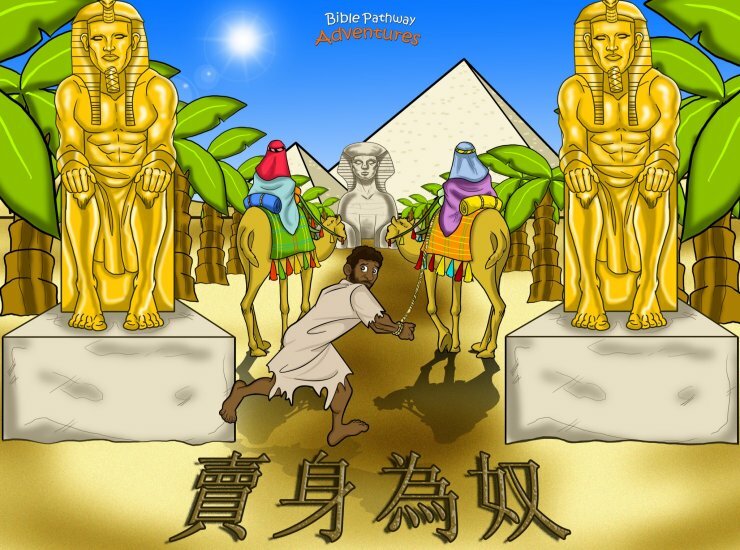 Ever wanted to learn more about the Bible in a fun, creative way? 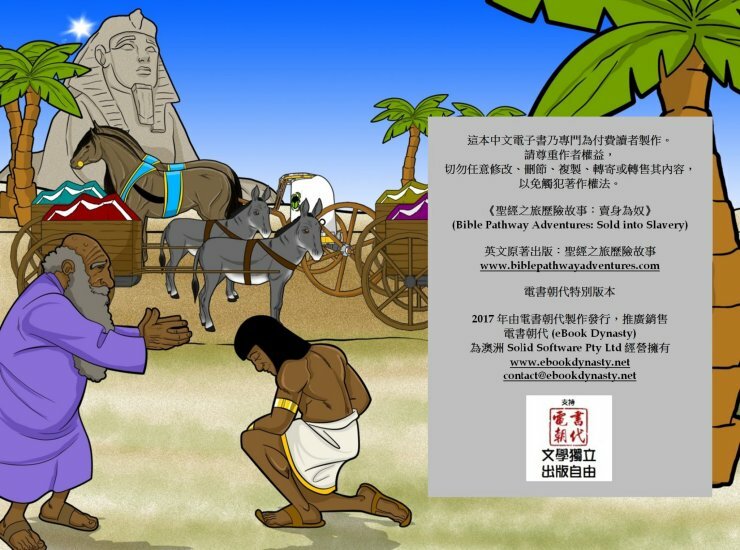 Bible Pathway Adventures is a series of colorful illustrated Bible stories designed to teach you and your children more about the Bible. 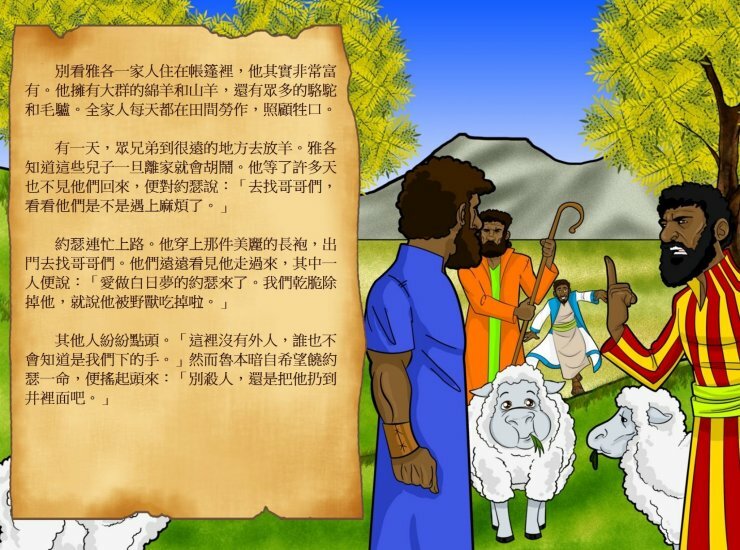 The stories are told in simple, modern Chinese, easily understood by anyone interested in learning more about the foundation of their faith. Each full-color file is styled like a picture book and easily read on your computer or smartphone. 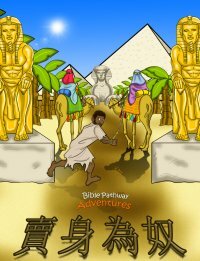 Bible Pathway Adventures has worked hard to ensure the stories are historically, culturally and biblically accurate. 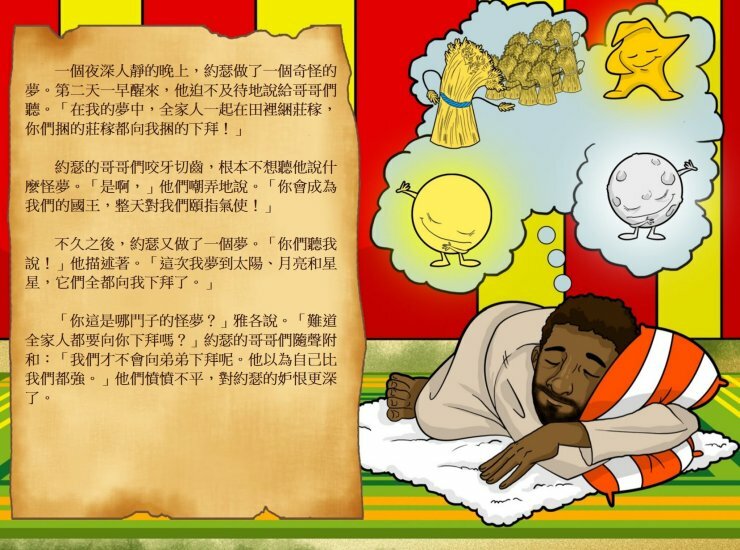 Saying that, some of the stories may challenge your traditional understanding of the Bible. The book series can be enjoyed in any order to go along with your family Bible study. 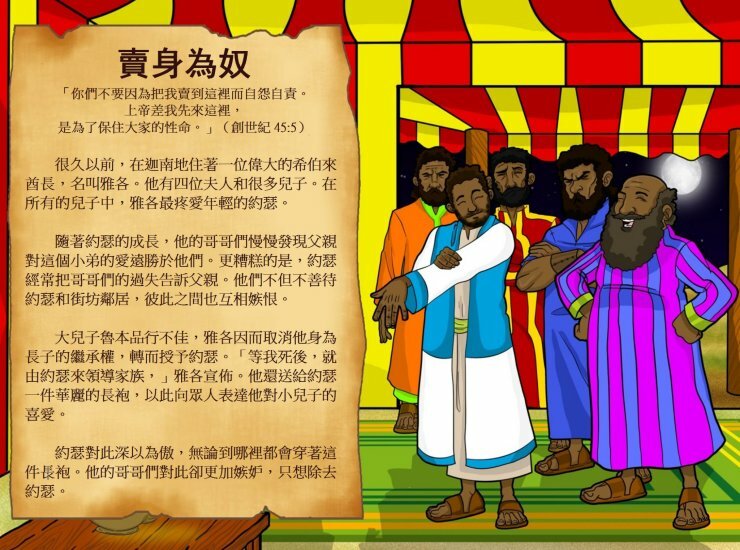 About Sold into Slavery: When Joseph receives a beautiful coat from his father, his brothers are filled with jealousy. They come up with a nasty idea and sell him into slavery. After years of hardship, Joseph is appointed governor over all of Egypt and helps a nation prepare for the famine. 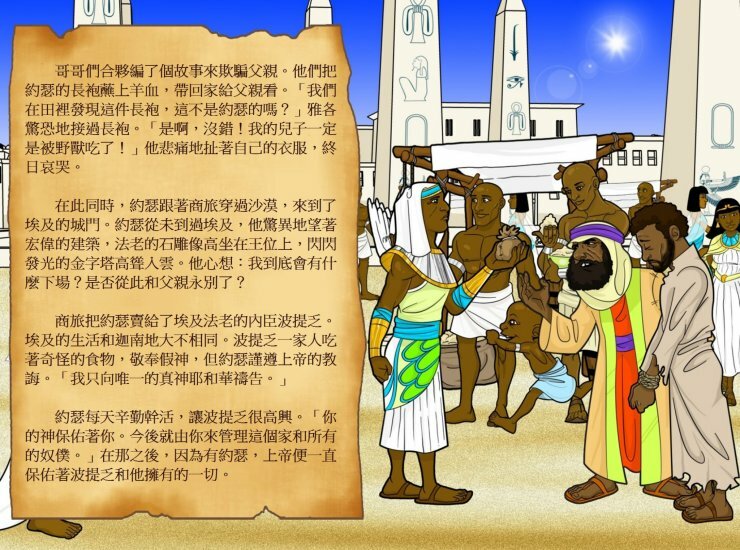 When Josephâ€™s brothers arrive to buy food, they are forced to confront their wicked past. Never in their wildest dreams could they have imagined their younger brother would become the powerful governor of Egypt. 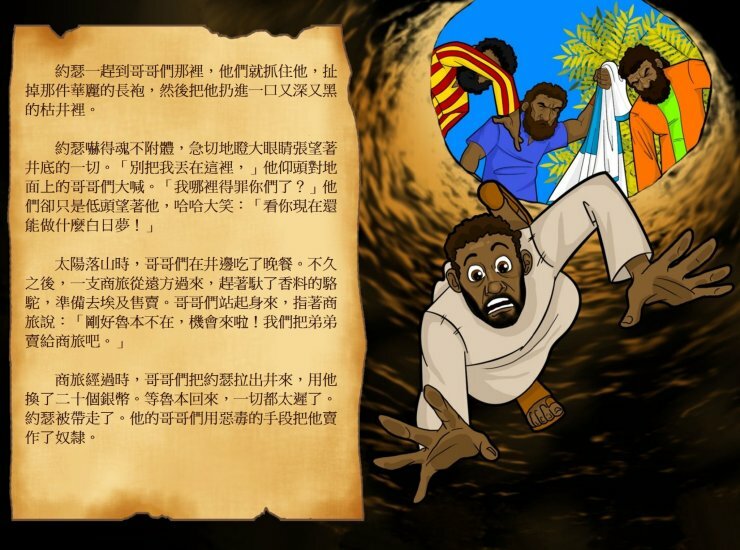 Sold into Slavery includes 17 pages filled with biblical adventure and eye-popping illustrations by author Pip Reid and award-winning children's illustrator Thomas Barnett.